Axiom Images is excited to have aerial stock footage in Bruce Willis' latest movie, Marauders. Limited release in theaters tomorrow. Check out the trailer below. Arches National Park is located near Moab, Utah in Grand County, and consists of over 2,000 natural stone arches. Featured here is a shot of Balanced Rock, one of the parks most popular features, located along the Arches Scenic Drive. 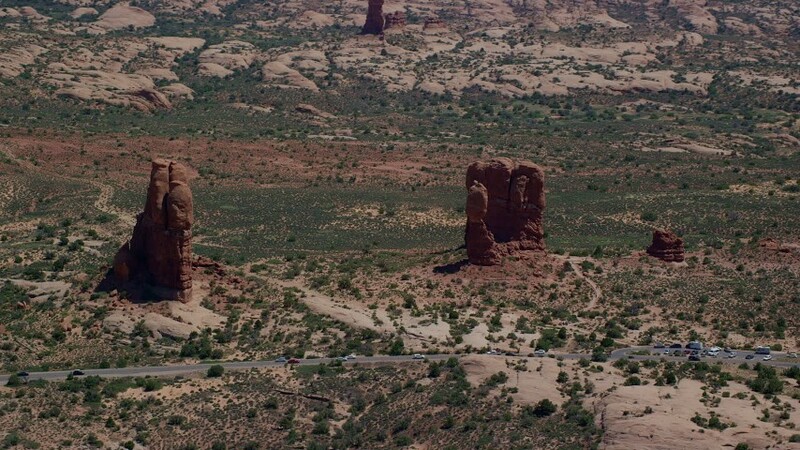 To view the rest of the our Arches National Park aerial stock footage library, click here. Season 2 of Zoo premiers Tuesday night, June 28 on CBS. Axiom Images is excited to have aerial stock footage in the first episode and is looking forward to another great season. Season 3 of Murder In The First, an American detective drama taking place in San Francisco, starring Taye Diggs and Kathleen Robertson airs tonight on TNT. Aerial stock footage from Axiom Images will be used in some of the episodes this season, don't miss. Five miles from Glen Canyon Dam is Horseshoe Bend, near Page, Arizona. There is a look out area that stands 4200 feet above sea level. 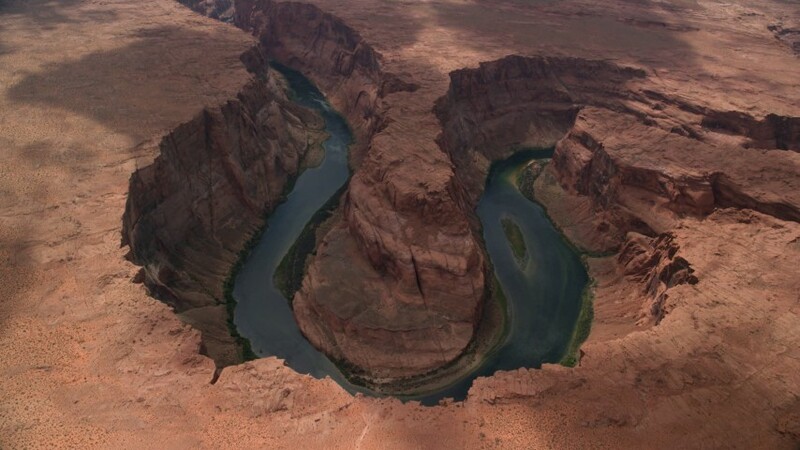 The Colorado River is 3200 feet above sea level, making it a 1000 foot drop. The rock walls contain many different minerals, including granite, platinum and hematite.